Bayonne Ham is the jewel of our French gastronomic patrimony as well as the festive spirit of the South-West of France. The “Salaisons de l’Adour” company is at the very heart of the Bayonne Ham PGI area (Protected Geographical Identification) which stretches from the west by the Atlantic Ocean, along the south through the Pyrenees, and up to the North by the Adour River : at the foot of the Pyrenees, at a stone’s throw from the Ocean. 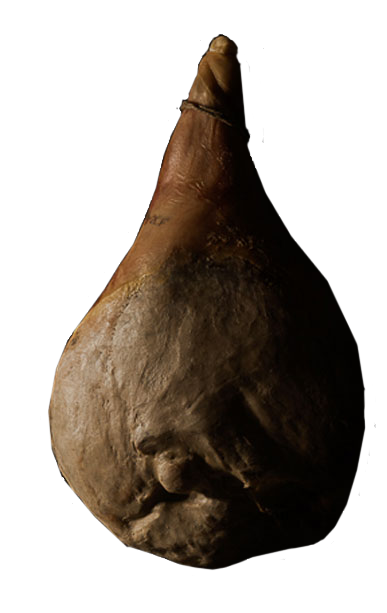 HISTORY: Bayonne Ham has been produced over the decades in the Adour Bassin, a region swept by the south warm winds (Foehn) and the humid winds from the Ocean. DRYING : Bayonne Hams are stored in our dryers oriented so as to be presented to the south winds (Foehn) and to the Atlantic Ocean humid winds. These influences typical and unique in the world give the ham a well-balanced texture : not too dry, not too pasty.Our ham must dry slowly, thanks to the Foehn influence while keeping all its sweetness and melt-in-mouth sensation from the humid air of the west. CURING : At last, our hams will be stored in the curing room for a minimum period of one year allowing the tastes and the flavours to sprout. We keep our nicest hams for 14 months and until 18 months for the heaviest ones. On coming out of the curing rooms, our Bayonne ham are iron branded with the seal of Bayonne followed by the seasoner’s number “27” which testifies to its quality and its origins.